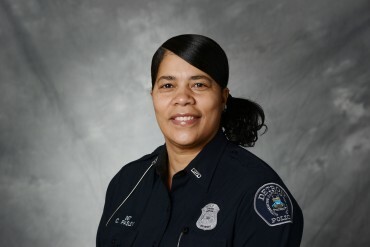 Officer Chenetta Pasley has been a Detroit police officer for more than 16 years, and is a Youth Development Officer with Detroit PAL. Officer Pasley is a graduate of Detroit College of Business. She enjoys playing baseball, softball, boating, shopping and bowling in her spare time. Officer Pasley loves being a mentor to young people and having a positive impact on the lives of the youth of Detroit.